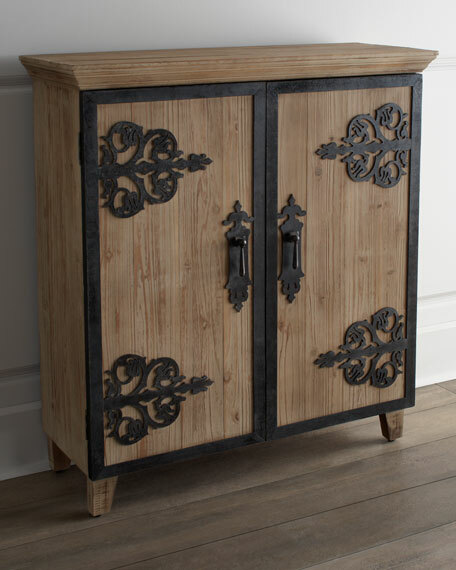 This ornately embellished chest brings a mix of rusticity and Mediterranean charm to hallways, entryways, and living spaces. 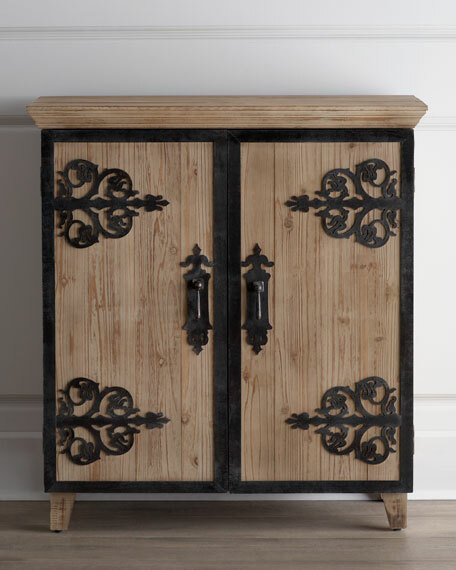 Handcrafted of fir with wrought iron hinges and detailing. 42"W x 14"D x 38"T.